This is what happens when you have two overripe pears and some organic greek yogurt about to expire in the refrigerator! 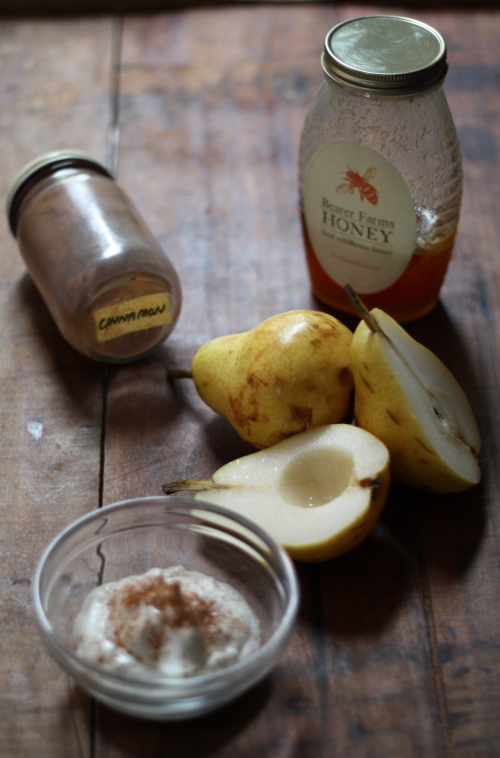 You assemble some local honey and cinnamon to go along with it. 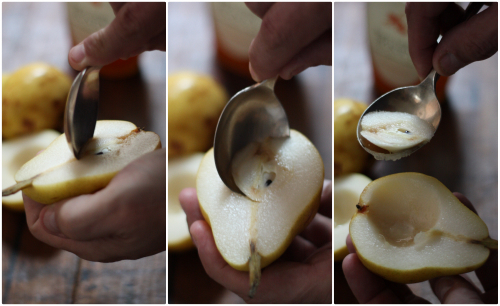 Slice and core your pears. 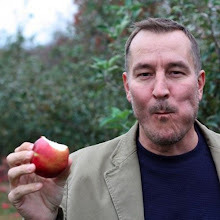 I just love how the core lifts right out with a spoon when at the perfect ripeness. 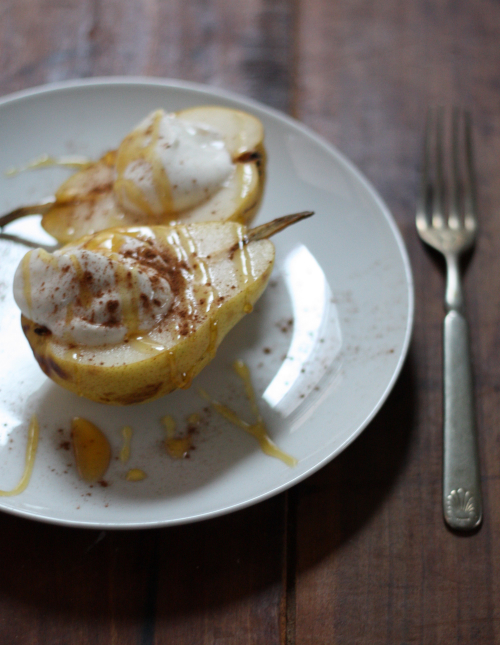 Combine honey and cinnamon with the yogurt, then generously fill the pear cores with a big scoop. 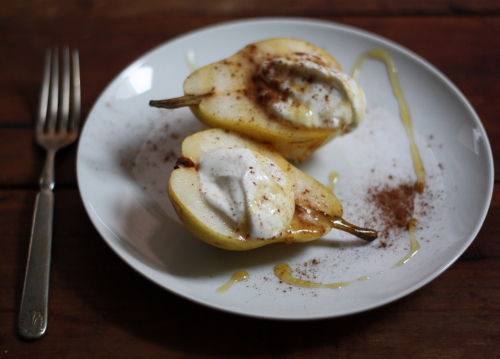 Plate the pears, dust with more cinnamon and drizzle with more honey. 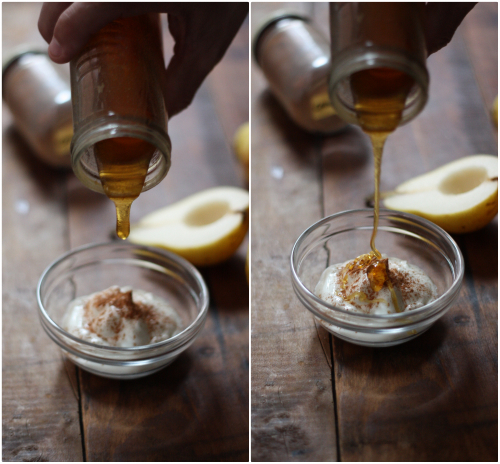 A quick, easy, and healthy afternoon snack or light lunch.